If your house stinks every time you use the air conditioner, then there is obviously a problem somewhere within the system. Air from your registers should be odorless, and a bad smell is a problem you'll want to remedy as soon as possible. 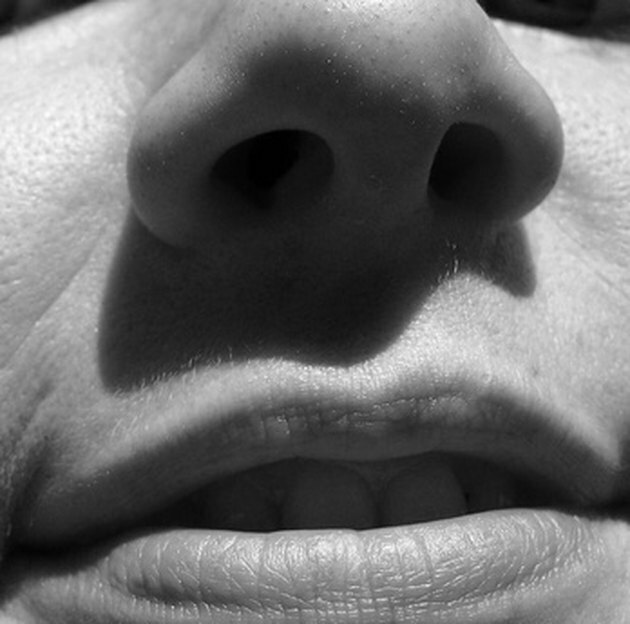 Figuring out what the source is may be as simple as using your nose to identify the type of smell coming from the air conditioner vents. The nose knows if your air conditioner has a problem. If the odor from the air conditioner reminds you of rotten eggs, then you might have a double problem, according to the Ask The Builder website. This smell is likely to be coming from a backed up sewer or sewage line that has ruptured either near the air intake or near a break in the air duct system. When the methane gases, the source of the stink, from the sewer leaks into the air conditioning system, the air ducts blow it all around the house. Finding the break in the air duct is one solution, but plumbing repairs should follow it up to the sewer line. A burning smell coming from the air conditioning system could indicate an electrical problem. According to the Hannabery HVAC website, a burning smell could be from an overheating blower motor or a mechanical failure caused by seized bearings. The plastic insulation on the wires heats up during the malfunction, causing it to melt and produce a smell throughout the system. 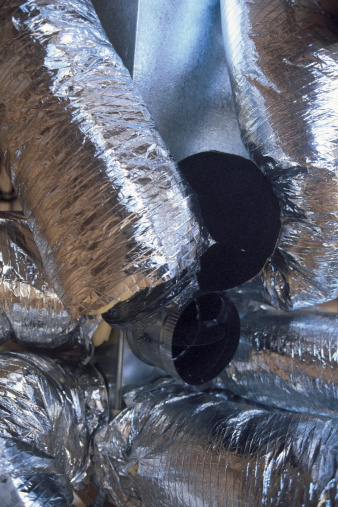 Plastic or other objects getting stuck in the ductwork could cause melting and burning smells. The smell also could come from an extremely dirty air filter that causes the system to overheat. Filters trap dust in circulating air in an air conditioning system, and the moisture in the air also is removed to make the air feel cooler. The condensation and the dust can sometimes combine to make damp dust—a perfect breeding ground for mold and mildew. If your air conditioning system has a musty smell, then it could be that mold is forming inside the unit. The only way to rid the system of this odor is to thoroughly clean it. You'll need to replace the filter, clean the inside of the unit, the front grille, coils and the condensation drip pan and drain line. Make sure power is turned off to the unit during cleaning. One of the most disgusting smells that occasionally happen in an air conditioning system is the rotten stench of dead animals. If there is a break in your air conditioning ducts under the home, injured and sick animals -- or those seeking refuge from the heat -- could wind up in the vents and die there. You may not know about it until the corpse of the animal begins to decay. If you have propane or natural gas run to your house, then the heating portion of your HVAC system is probably fueled by it. If you begin smelling gas in your home, you should immediately open windows and go outside. Call the gas company to come in and investigate. Why Does My Central Air Smell Like Rotten Eggs?